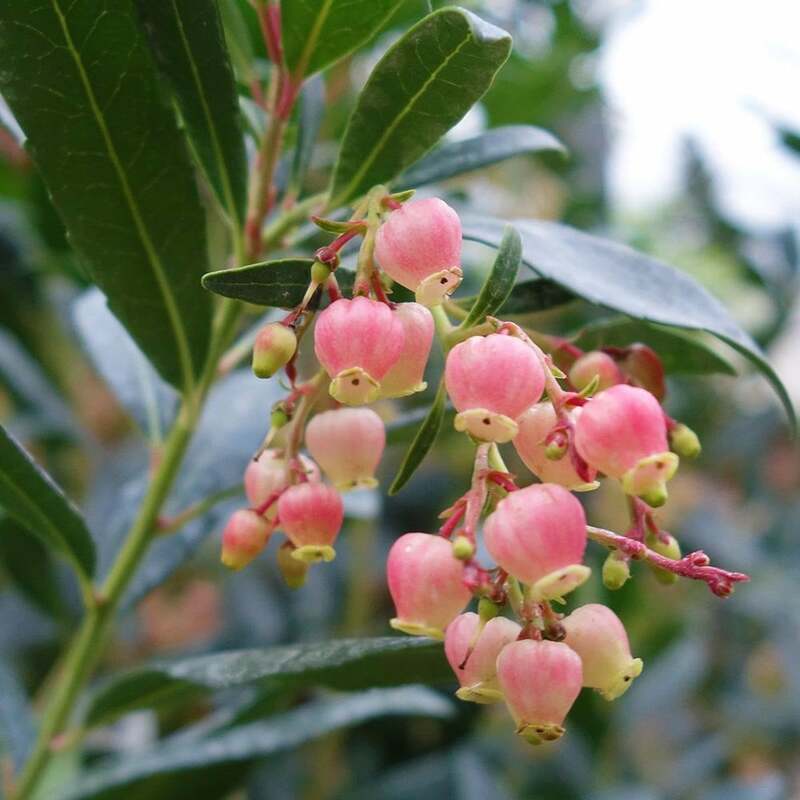 Arbutus unedo rubra is a small evergreen tree with pink flowers and distinctive bright red fruits. Panicles of pink, urn-shaped flowers appear in autumn at the same time as the fruits from the previous year ripen to a bright red colour. The fruits are around 2cm in diameter and resemble strawberries in appearance. The leathery green leaves and textured reddish-brown bark remain features all year round. Holding the RHS Award of Garden Merit, Arbutus unedo rubra is an excellent small tree for adding year round interest to the garden. For a white flowering version, see Arbutus unedo. Our pot grown Arbutus unedo rubra trees can be planted at any time of year. Choose a sunny planting position and remove weeds and grass within a metre of this. Dig a square hole as deep as your root mass and approximately 2x as wide. To help the tree establish more effectively, sprinkle root grow in the hole. Remove the pot, gently loosen the roots and place into the planting hole. Mix 50% of the original soil with 50% compost, fill in the hole and firm around gently. Avoid banking the soil up around the collar of the tree. We recommend planting Pink Strawberry trees with a stake and tie kit - instructions are in the planting guide. If you’re planting Pink Strawberry trees in spring or summer, water well for the first few months. Increase watering if there are extended periods of hot or dry weather. If planting in autumn, you may only need to water a little. Pink Strawberry trees do not require a lot of pruning. Simply remove any dead, diseased or awkwardly placed branches as and when you see them.